Not that you’d ever know it. Thad Hill, in a split with many fellow power company executives, flatly opposes the lawsuits that Texas and 25 others states have filed to block the Obama administration’s Clean Power Plan. It’s no coincidence that the company Hill heads, Houston’s Calpine Corp., owns exactly zero coal plants. While it’s intuitive that wind and solar power companies, which don’t emit greenhouse gas in generating power, support the Clean Power Plan, opinion within the traditional electricity generation sector is more nuanced. Calpine, which operates the nation’s largest fleet of natural gas-fired generators, leads a relatively small group supporting the federal rule. Most companies that generate power with coal oppose it, including Dallas-based Luminant, the state’s largest power generator. It also operates some gas plants and one of Texas’ two nuclear plants. In the lawsuit challenging the rules put forth by the Democratic Obama administration, Republican Texas Attorney General Ken Paxton calls the plan a massive power grab by the EPA that would increase Texans’ electric bills significantly and threaten the reliability of the electric grid. The Electric Reliability Council of Texas, which manages 90 percent of the state’s power grid, has estimated the rule could force the closures of some Texas coal plants and increase electricity prices 16 percent by 2030. Some of the changes in Texas’ power landscape are occurring anyway, because of cheap shale gas and Texas’ ranking as the largest wind power producer in the nation. “There’s an impressive pipeline of new gas generation and new wind generation in Texas,” Miller said. That presents market challenges to coal plants, and could move the state toward compliance with the Clean Power Plan. “Texas might not have to do all that much,” Miller said. See here for the background. 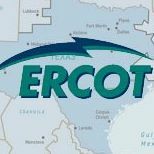 Miller’s statement is consistent with what ERCOT itself has said, and the Clean Power Plan would help conserve water, too. But this is Texas, and our leadership has to do things the hard way. Just remember, they don’t speak for everyone, not even in the power generation business.